Hello friends!!! I hope you all had a fun filled weekend with your family. Ours was filled with kids activities and a fun outing to the Great Lakes Science Center. I kicked off a new series a few months ago "Weekend Instagram Round Up" and excited to start it back up again. 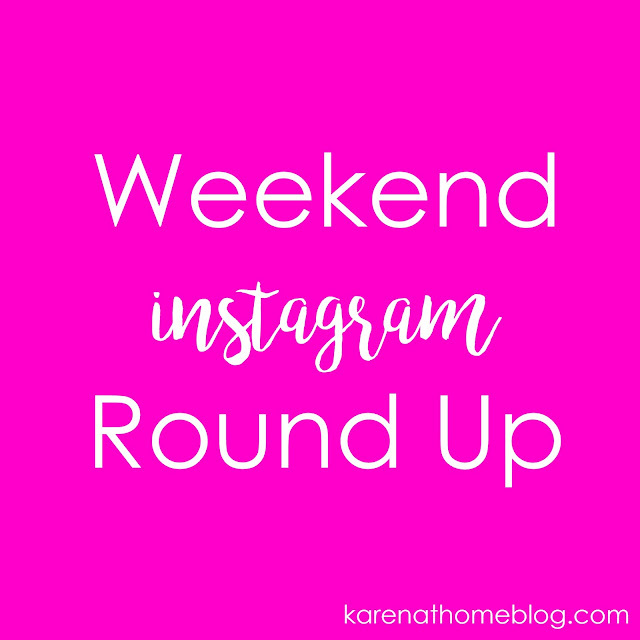 It was the perfect way to recap our weekend via my crazy love of Instagram. I would love for you to follow along to see our updates in real time. I have a crazy obsession to Instagram stories and love sharing our everyday moments. We kicked off our weekend with absolutely no plans for Friday and I wanted to keep it that way. Saturday's lately are a little on the busy side with kids sports and I love using that time to prepare for our crazy Saturday mornings. Nicholas had both baseball practice and Soccer on the calendar, however due to the rainy weather, baseball ended up getting cancelled. After Soccer we headed downtown to spend the afternoon at the Cleveland Great Lakes Science Center with my side of the family. It was the perfect rainy day to spend indoors and to explore. I absolutely love this view of the Lake Erie harbor from the top of the Science Center. How amazing is this Cleveland Cliffs freighter? The Great Lakes Science Center currently has an interactive Lego display which occupied a lot of our day. My kids just can't seem to get enough to legos these days! We wrapped up our day in the kids play area in which was basically one big ball pit. This boy and balls...he is never far from one...no matter where we are. This ball pit to him is pure heaven on Earth. He absolutely loved it! On Sunday, Jillian wrapped up her last day of PSR for the year in the morning and then spent the rest of the day enjoying the warm weather. I love spending my Sundays planning and making goals for the week. I always try to spend at least one hour preparing my planner so I am ready to tackle the week. I hope you all had a wonderful weekend, have a great week friends!